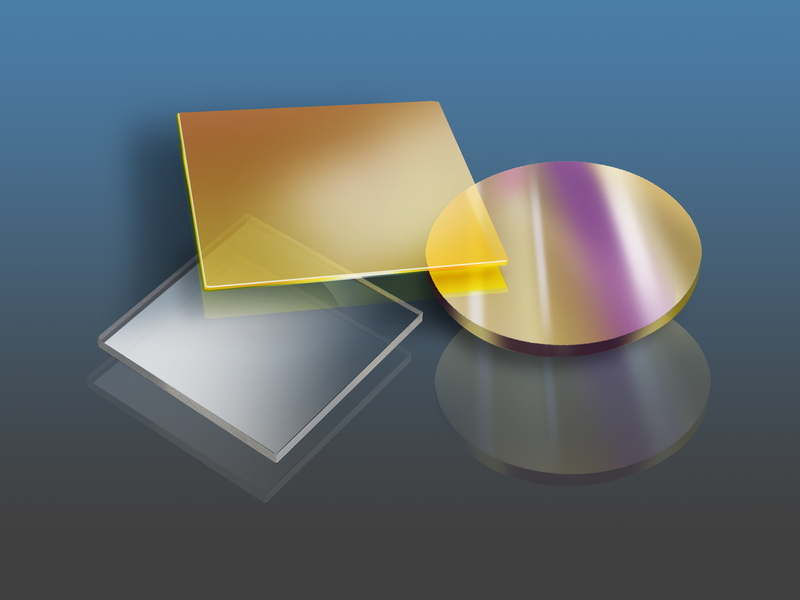 Company will showcase finished infrared (IR) optical components and thin film filters for biomedical, industrial, and defense applications at SPIE BiOS booth #8346 and Photonics West booth #4883, Feb. 2 - 7, 2019, Moscone Center, San Francisco. SANTA ANA, CA – Dec.3, 2018 - Precision Glass & Optics (PG&O - www.pgo.com), introduces finished infrared (IR) optics for a variety of commercial and defense applications. PG&O’s new fabrication capability utilizes several infrared materials, including calcium fluoride (CaF2), magnesium fluoride (MgF2), silicon (Si), germanium (Ge), and zinc sulfide (ZnS) to deliver optically-clean, polished IR materials. The new optics operate from 0.75 µm, the near-infrared (NIR), out to15 µm, the longwave-infrared (LWIR) spectrum. Finished infrared optics are used extensively in a wide variety of applications, including biomedical, industrial, military/defense, homeland security, surveillance systems, automotive, fire control, lasers, night vision, and more. For more information about Precision Glass & Optics’ infrared materials and IR optics, please call 714-540-0126. If you’re planning to attend SPIE BiOS and/or Photonics West 2019 in San Francisco, please stop by BiOS booth # 8346 or Photonics West booth # 4883 to learn more about PG&O’s new finished IR optics and the company’s customized optical solutions for diverse applications. PRECISION GLASS & OPTICS (PG&O) – www.pgo.com – Since 1985, PG&O has delivered high quality, precision glass, optics, and optical coatings for a variety of applications. The company has an extremely large inventory of glass products and a full optical fabrication shop to provide advanced optical coatings and to manufacture large mirror blanks. PG&O recently introduced a new finished infrared (IR) optics fabrication service. Other services include CNC machining, polishing, slicing, sawing, scribing, grinding, edging, assembly, and more. With three large coating chambers, and an expert, in-house engineering staff, our cost-effective and reliable optics and advanced thin film coatings are ideal for military, aerospace, astronomy, biomedical, imaging, laser, digital cinema, solar markets, and more.